Foundation, just like its name, serves as the base for the rest of our makeup. It’s something everyone must have in their makeup arsenal, but finding one that suits one’s skin is quite the challenge. We’ve prepared a guide to help you figure out which foundation to choose. Not only that, we have a list of top foundations for people in their 20s. During our 20s, our skin’s cell turnover cycle–the rate at which we shed dead skin cells and generate new ones–is still at a normal pace. Our skin still has its youthful radiance and firmness, so at first glance, everything seems to be fine. However, our skin is continuously exposed to external aggressors that may damage it. We also experience hormonal imbalance during this time, which can cause other skin problems like acne. That’s why thinking that it’s fine to not take care of your skin because you’re young is the worst mindset you can have. It’s also during our 20s that our skin may produce excess sebum, which causes adult acne. Furthermore, after we hit the age of 25, our skin’s production of collagen and ceramide also gradually decreases. The key to maintaining youthful, healthy skin is to properly care for it with the right products. Searching for the best foundation during your 20s shouldn’t be a difficult task. However, if you’re having a tough time choosing the right product, we have just the guide for you. During our 20s, we explore the wonders of makeup and use various kinds of cosmetics, including foundation. First, let’s talk about the special ingredients in each product to help you choose the best foundation for your skin. 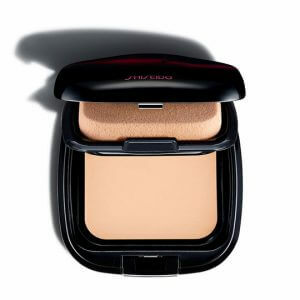 Powder foundation usually comes in a compact case that it has been pressed in to. Pressed powder foundations come with a puff or sponge, which allows for quick touch-ups even on the go. It’s simple to use, and it stays on well, so it’s perfect for beginners. For those looking for a natural, matte finish, this is the foundation for you. It’s also skin-friendly because it usually contains little preservatives or surfactants. 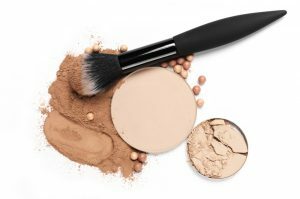 Another type of powder foundation is loose foundation, where the grains are not compacted together; instead, they come in a jar with a puff. Loose foundations give a light and natural finish, which is perfect for those people who don’t like heavy foundations. Cream foundations provide excellent coverage and moisturizing effects, which make them perfect for our late 20s to 30s when our skin experiences a lot of problems—acne starts healing slower and wrinkles and freckles caused by UV exposure start appearing. It contains more oil content than a liquid or powder foundation and has a rich texture. It provides good coverage to hide imperfections while adhering to the skin. It’s also moisturizing, which protects the skin from drying. 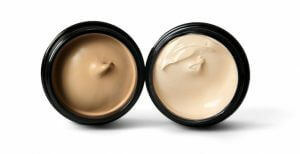 Liquid foundation isn’t as thick as cream foundations, but it still has good coverage and moisturizing effects. It’s recommended for people who want a more natural look. Liquid foundations can also vary in consistency; some are thick or viscous and others are watery. They aren’t as easy to apply as powder foundations, but compared to cream foundations, they’re lighter on the skin. From everyday use to a night out, liquid foundations can be used for several occasions. Liquid foundations are generally difficult to carry around and a hassle to put on outside the house. Cushion foundations solve this problem by storing liquid foundation in a compact, making it portable and easy-to-apply. Now you can get that same dewy look on the go. There are also some that adhere so closely to the skin that they don’t need any primer, which makes it perfect for busy people. Most cushions offer high moisturizing effects, which is a blessing for people with dry skin, but they can look kind of shiny. 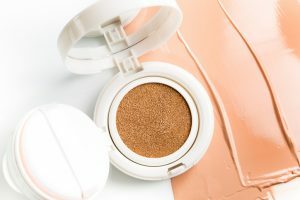 If you have oily skin, get a cushion that has some kind of powder in it as well; that’ll soak up all your sweat and oil, leaving you with a natural matte finish. Do you have dry, oily, sensitive, or combination skin? Choosing a foundation according to your skin type is important. If you have dry skin, we recommend using a cream foundation. 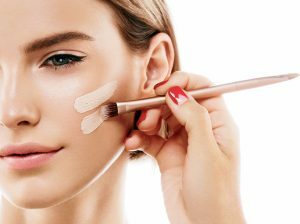 Cream foundations have more oil content and are more moisturizing than powder and liquid foundations, which will help prevent dryness and cracking. They’re also ideal for people in their late 20s, which is when the skin’s natural production of oil decreases. If you have oily skin, then powder foundations are your best bet. They help control shine and oiliness, especially for people in their early 20s, which is when excess sebum production and adult acne become a problem. 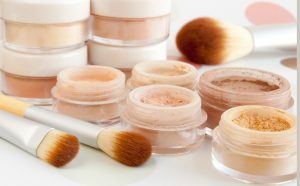 Having sensitive skin can be troublesome as some makeup contains ingredients can cause inflammation or bumps. That’s why foundations with essential minerals are a good choice, as they’re light, loose, and gentle on the skin. But not all mineral foundations are made equal–so don’t just rush in blindly. Some ingredients found in mineral foundations are allergens or irritants, and this holds true even for natural and organic products. So, before getting any foundation, make sure you check the ingredients. 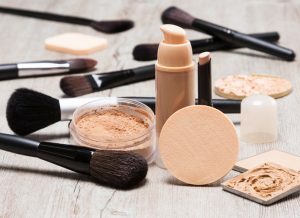 For people with combination skin, it can be challenging to choose a foundation because some parts of the skin are dry, while some parts are oily. 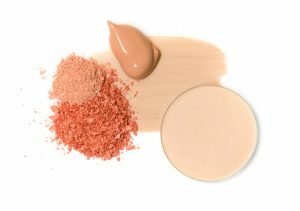 It’s best to choose a powder foundation, since you can control how much you put on each part of your face. Dryness is the enemy of beautiful skin. That’s why properly moisturizing our skin is necessary. It doesn’t just apply to people with dry skin; people with any skin type should be moisturizing their skin properly. 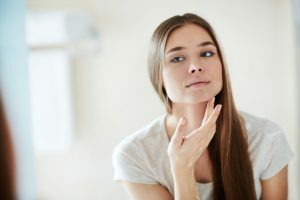 Choosing a foundation or skincare product that contains moisturizing ingredients like ceramide, hyaluronic acid, collagen, or royal jelly is recommended. Sun protection is just as important as moisturizing the skin. 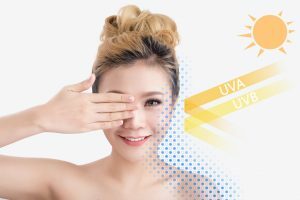 Studies show that 80% of skin aging is caused by overexposure to UV rays. Look for products that have SPF or PA written on their labels. Preventing further damage is key to maintaining beautiful skin. Perhaps you’re now thinking of browsing the market for the best foundations. If so, then continue reading as we’ve made a list of the top foundations for your 20s. Despite having a medium to full coverage, this liquid foundation is light on the skin. It also lasts for around 5 to 8 hours or even longer, but if you have very oily skin, it’s recommended to pair this foundation with a primer. This product contains Cyclopentasiloxane, which forms a protective layer on the skin and also fills the spaces in between fine line to reduce their appearance. Another thing to note is that this foundation oxidizes, so you might have to pick a shade lighter than usual. Tired of having to deal with shine? Then this matte powder foundation is for you. It’s oil-free and water-based, so it will last you a few hours before you have to touch up. This powder can also be used as a setting powder for your foundation. 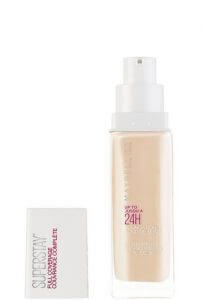 Depending on the application, you can achieve light or full coverage with this foundation. Using the sponge it comes with will give your face medium to full coverage, while using a brush to lightly dust your face will give you light coverage. Maintaining one’s youthful looks is a priority for anyone in their 20s, and you can achieve that with this powder foundation. It’s formulated with micro-light boosters, which provide a radiant glow. Its texture is creamy but lightweight on the skin, and it stays on flawlessly throughout the day. People with dry skin can rejoice too! 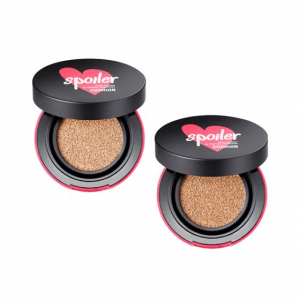 This powder is mattifying but not drying so you won’t have to worry about it sitting on your dry patches. Just be ready to bring it along for touch ups as it won’t be able to last on the most humid of days. 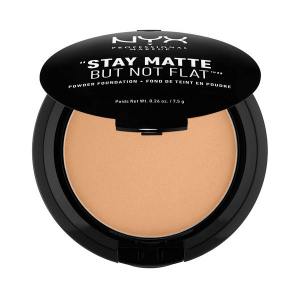 Designed to fit into your purse, this powder foundation is convenient for touch-ups–if needed! After all, it can keep your skin shine-free and matte all day long–well, for up to 4-6 hours. It also gives a flawless, natural finish. You can control the coverage by applying this foundation wet or dry. You can wet the sponge and pat it on your face for medium to full coverage or use a brush for a more natural finish. It also comes with SPF20, which is a plus for people who tend to forget to put on sunscreen. Hiring a professional makeup artist for their airbrushing services will definitely burn a hole in your pocket. This foundation is affordable and its smooth and flawless finish comes close to an airbrushed look. Even a small amount will be enough to cover your skin’s imperfections. It blends easily and has a satin finish. It also has SPF24, which will give you a little sun protection. But if you have oily skin, this won’t last you long. 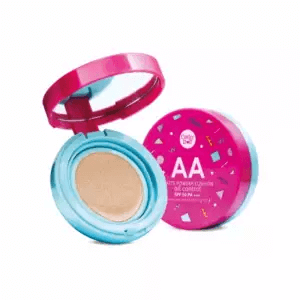 This cushion foundation doesn’t just offer anti-aging and moisturizing benefits, but it also has SPF 50 PA+++, which gives you enough protection from the sun’s UV rays. It also does a great job in evening out skin tone with medium coverage. 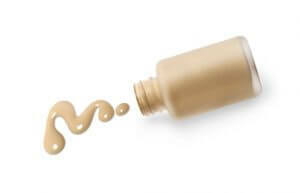 Any foundation that comes with a high SPF tends to have less lasting power. 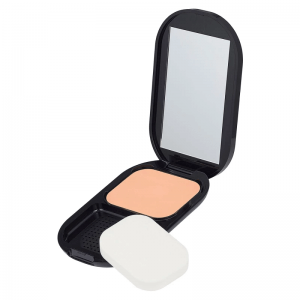 If you have oily skin, you’ll need to top it with a blotting powder. People with dry skin can rejoice because this product will both moisturize and protect their skin. Opening a case of this foundation will reveal this product’s most apparent feature–its honeycomb mesh. 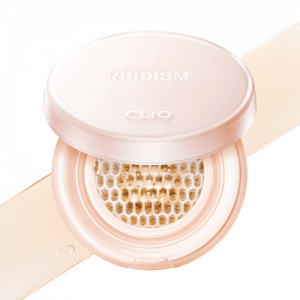 Moisture essence particles form on the mesh upon application of pressure, giving your skin a hydration boost on application. This cushion foundation will even out your skin tone, but it won’t hide your imperfections. 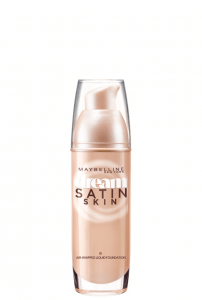 It has sheer coverage, so it’s perfect for those who want a dewy, natural finish. Just be careful with the puff strap as it tends to snap easily. This foundation is formulated with tea tree oil extract, which prevents acne and minimizes the appearance of pores. Its also formulated with vitamin C complex, collagen, and ceramide, so it brightens and moisturizes your skin. It’s a lightweight but full coverage cushion foundation. It covers dark spots and blemishes and lasts for hours, even on oily skin. One thing to keep in mind while choosing a shade is that this foundation does oxidize. 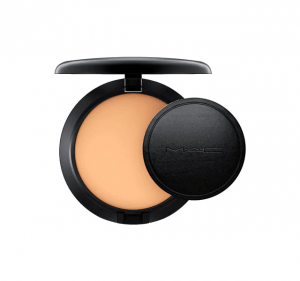 This powder foundation is made of ultra-fine powder, so it glides on smooth and silky. It will provide a medium coverage and a matte finish. 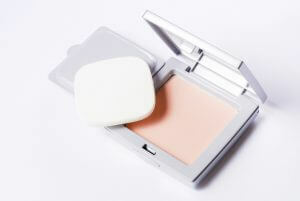 It’s also a perfect powder option for dry or combination skin as it will keep your skin looking hydrated. The Skin Cancer Foundation also recognizes this product as an effective broad-spectrum sunscreen. One downside is that the refill and the case are sold separately, so it may cost you a little bit more than other foundations. 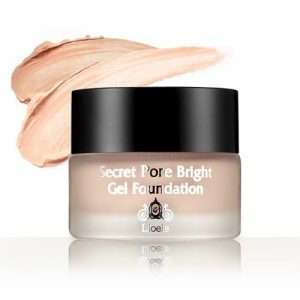 This gel foundation’s all-in-one formulation works as a primer, foundation, and concealer. It has buildable coverage, so you can cover blemishes and imperfections. It’s lightweight and glides onto the skin easily. It’s also packed with moisturizing ingredients like royal jelly, collagen, and honey. It also whitens and evens out skin tone with phyto-white and arbutin. This is the perfect no-makeup look foundation. It doesn’t matter how expensive or amazing a piece of makeup is if you don’t apply it properly; that’s why we’ve prepared some tips to make sure you get the most out of your purchase. Some people prefer to apply their foundation using their fingers, but using a sponge or brush will enhance your foundation’s finish. They are usually sold separately, but investing in a good quality sponge or brush will take your makeup game to another level. The hot and humid weather in the Philippines makes it almost impossible for makeup to last all day, so retouching is necessary. Before you start, make sure to check which parts need retouching. If the T-zone area has started to oil up and the makeup has slid off, use an oil blotting paper to absorb the sebum and oil. Be careful not to push too hard, because you might end up sucking up the skin’s moisture too. The next step is to lightly set the T-Zone area with a sheer powder. If you notice your makeup has slid off due to sweat, use a clean sponge to wipe the sweat off before retouching. It’s better to start with a clean canvas, rather than layering makeup over sweat. This will ensure your makeup lasts longer. It’s true that our skin goes through changes as we age, so it’s important to update our skincare and makeup from time to time. Let’s all do our best to maintain the youthful, healthy skin of our 20s.